ISO | My Thinking Out Loud! ISO – My Thinking Out Loud! If you guys want to go in-depth into the history, background & science related to “ISO”, click here. This section is devoted to what ISO means to digital photography. ISO is NOT Film Speed. It stands for International Standards Organisation. They set the 5800 & 12232 standards that rates Film Speed like ISO 100 being slow & ISO 800 is fast. However, since the days of analogue film negatives, manufacturers have used ISO numbers as a marketing tool & the name stuck. Now that we’re cleared that misunderstanding, I’d continue to use ISO number as Film Speed since that’s what most people are familiar with. 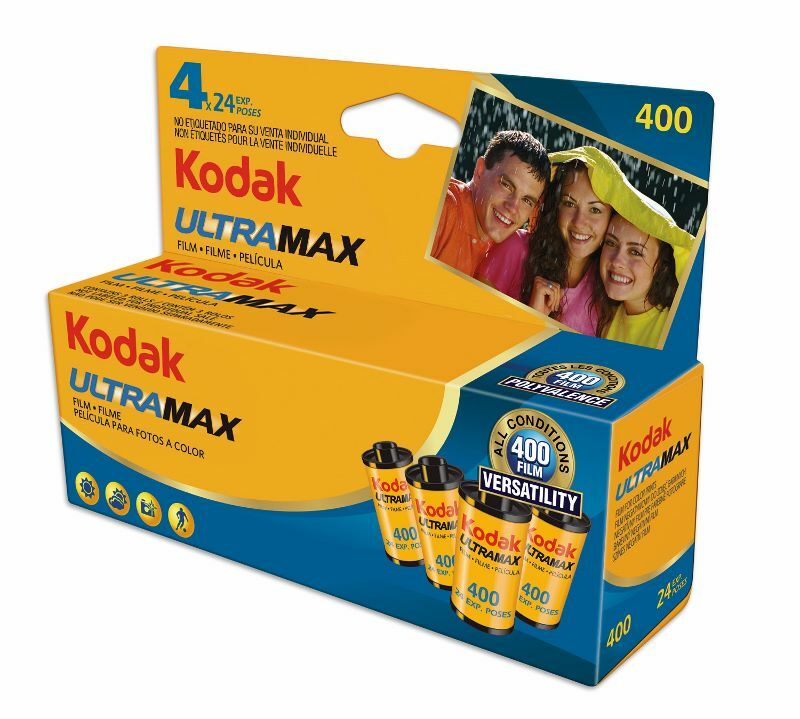 So photographers like me & million others have to pre-select a roll of film before we go shoot & we have to be very careful what we put in the camera because we can’t take it out midway without wasting the balance negatives. One of my favourite film to use. The Kodak Gold 400. I prefer a slight yellow bias for most of my shots. Generally these are the type of film we buy. ISO 100 – Outdoor shooting of static objects like portrait of people & landscape with ample light. A fast lens is required. Not suitable for telephoto. Excellent image quality with almost no grain. ISO 200 – Indoor well-lit shooting of static objects & portrait of people. Also for outdoor overcast sky. A fast lens is recommended but unnecessary if the camera has OIS on the lens. Not suitable for telephoto except with expensive lens & OIS. Excellent image quality with very little grain unless printed on poster size paper. Night shoot of static objects possible only with tripod & flash. ISO 400 – Indoor shooting regardless of lighting. Flash required in dark condition. Outdoor shooting of moving object possible, best with fast lens. OIS not needed. Night shoot possible with flash. Night scenery possible with tripod or OIS. Excellent image quality with visible grain printed up to 8R (more or less). ISO 800 – Used only for low-light & night shoot or shooting fast object on telephoto lens. Image quality is good with some loss of details and visible grain in all print size. ISO 1600 – My guess is this is only used where you need to capture a fast object but can’t use the flash or it’s used in super high speed photography like in 1/100000s or something. When we talk about ISO Film Speed in the digital world, it’s a completely different story. In Digicam, DSLR & Camera phone, the ISO setting is dynamic. It also does not mean the same thing as analogue film negatives. First myth in digital photography is low ISO setting means no noise. This is NOT TRUE! First, there are 2 type of noise in digital photo. Chroma & Luminance noise. Luminance noise is caused mainly by quantum tunnelling effects and is worsen by heat. In the Lumia 1020’s CMOS sensor, quantum tunnelling in the photodiode array creates dark current that is unpredictable. This dark current increases the noise floor of the CMOS sensor & also heats it up, thus increasing the dark current & worsening Luminance noise. This is why there’s a huge black circular aluminium heat-sink. Chroma noise is caused by variation in the light waves arriving at the sensor. Contrary to common sense, light does not travel in a straight line. It has polarization which affects its direction of travel, sort of like a tornado. Only LASER travels straight. This means that when light waves hit the sensor, it wobbles & changes direction. This is why Chroma noise is more prominent in shoots with long exposure. Light waves can merge to create a strong secondary signal while the shutter is open and the sensor is collecting light. Think of 2 or 3 tornadoes merging to get an idea. On top of that, the Bayer pattern of the CMOS sensor also creates a wave diffraction effect which can combine to create this Chroma noise. All modern CMOS sensors now use micro-lens to reduce these 2 types of noise, which is why small CMOS sensors these days are much less noisy than those before 2007. Now, in digital photography, the higher the ISO number, the more the image processor amplifies the signal (& noise). Bright light generates a higher voltage in the photodiode than dim light. Remember the noise I mentioned earlier? Well they represent a noise floor or voltage that’s random. At ISO 100, there’s very little amplification of the voltage so there’s high signal-to-noise (SNR) ratio. The noise voltage rarely get interpreted as signal, hence the dark area stays relatively noise free. Now I say relatively because as the temperature of the sensor goes up, quantum tunnelling effect will cause the noise floor to raise & more of the noise voltage will be misinterpreted as signal, resulting in some Luminance noise. However, we usually don’t see Chroma noise because those noise are inherently low voltage. They just affect a bigger area of the sensor & generally look ugly. At ISO 1600, the image processor amplifies the voltage by quite a bit. Now there’s a maximum voltage that a signal can go & at ISO 1600, this value can get maxed out. However, the rest of the lower voltage signals can get mixed together with the noise floor, resulting in a loss of details. Having long exposure with high ISO also cause Chroma noise voltage to be misinterpreted as signal. Therefore, on top of the white Luminance noise, there’s a lot of ugly coloured Chroma noise as well. So in essence, high ISO creates a lower SNR, resulting in loss of detail. The Lumia 1020 has an ingenious system to deal with both Luminance & Chroma noise. Nokia calls it Pureview oversampling. Mathematically, it’s more accurate to call it down-sampling. Basically it combines 3 adjacent pixels or maybe 7 Bayer sub-pixels & use Bilinear or Bi-cubic transform equation to smooth out a lot of the noise so they become part of the signal. The end result is no loss of detail while a huge reduction in both noise type, especially Luminance noise. This is the secret of the Pureview technology used in Pureview 808, Lumia 1020 and also the 20 megapixel Lumia 1520. In conclusion, you can use the old photographer’s guide of buying film to decide how you should select the ISO setting in the Lumia 1020. I’d summarise below. ISO 100 – Bright ambient / direct light or used in conjunction with Synchronised External Flash units. Great for portrait of people, Macro with Flash & Landscape. Choose this if you want the lowest possible noise & highest possible image quality. The disadvantage is the shutter needs to open a lot longer to get enough light. ISO 200 – Used in most outdoor street photography for landscape or static subjects. When on vacation, this is also a good ISO speed to use. Zooming In to the subject should be ok.
ISO 400-600 – Indoor shooting regardless of lighting. OIS will kick in often. Flash & Focus Light should be set to Auto unless prohibited by authority, like in museum or zoos. Shooting of moving object requires Flash in dark condition. Night scenery + portrait requires Flash + slower shutter speed. OIS is your best friend. Down-sampled 5mp photo should have little noise. ISO 800 – Used for low-light & night shooting of moving subject or shooting fast object in the day. Image quality is still good with some loss of details and acceptable noise in 5mp photo. ISO 1600 – Used when you’re NOT allowed to use focus light and flash at all, like in Night Safari. Even with OIS, you’re not guaranteed a blur-free shot. A monopod or tripod is recommended. Hey, I need to ask you something: I had a Nokia N8 for many years (5+) and I took great photos in automatic condition, but now i bought a Lumia 1020 and I’m trying really hard, but all my photos have too much grains/noise. I don’t know why, I’m trying to use ISO 100~200 and its not as good as in Nokia N8. Usually all my photos are in light conditions (like beach). If you want, I can show you some exemples. Yes, please provide a link. There could be a number of reasons like the app you use to capture. Or you’re used to a lot of smoothening in the photos on your N8. For example, Canon digicam tends to over-process their photos while Olympus tend to leave the grain in for more details. Did you take out the protective film over the lens? Your picture doesn’t look grainy. It looks completely blurred! Make sure nothing is in front of the lens and clean it with microfiber cloth. For best result, use the Lumia Camera 4.x app. Check out these photos I took a few years back. http://1drv.ms/1VEuSB8 Most photos were taken with poor lighting conditions and manual settings was used but even with Full Auto + Auto Flash, you should not be getting blurred over-exposed photos seen in the first Sunny Day shot. For shooting fireworks, I recommend manual focus. The 1020 Contrast-AF is software-driven and not fast enough to focus on fireworks. I’ll try some photos and see if works. I can’t see from picture. Does the case come with a clear cover for the lens. Have you tried taking pictures without the case? This set is taken with great lighting for the entire shoot. I went to nokia care (The support team) and they fixed my camera. I had some weird problem inside the lens. The new pix looks sharp. What’s wrong? Looks better than your previous set.